Developer Black Cat Systems has introduced Sound Byte – a $4.99 app for playing back sound bites on demand. 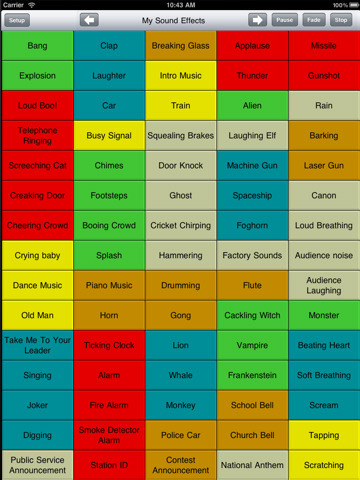 Theater Productions – play any sound effect on cue. Sports Events – jazz up the commentary for your home team with sound effects each time they score. Sound Byte supports five racks of carts, or up to 375 recordings total. Sound Byte plays sound files that you have installed in the Documents folder, which you can access via the iTunes app. It does not come with any sound files.